The Center for Environmental Inquiry is hosting weekly events on Sonoma State University’s 4,200 acres of wildland preserves for students to meet local experts, learn new skills in the arts and sciences and contribute to local sustainability. Whether it's hiking through Sonoma State’s Osborn Preserve alongside on-site biologists or examining the preserve’s unusual wildflowers to learn what role can be played in grasslands restoration, “Dig into Nature” has an experience for every student. "Sonoma State University's Center for Environmental Inquiry empowers university students to work with community members on the environmental challenges of the North Bay,” said Megan McGuire at the Center for Environmental Inquiry. “Our mission is to create an engaged and environmentally ready society, one where all people have the skills to find solutions to the challenges facing our earth." 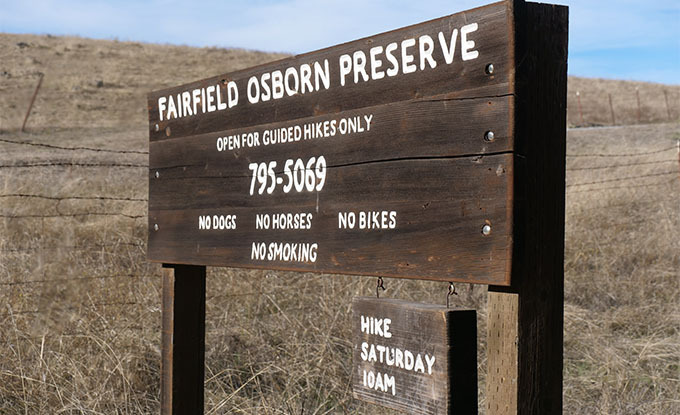 The first “Dig into Nature” event is a natural history hike on March 16 at 10 a.m. at the Fairfield Osborn Preserve located in the hills directly east of Sonoma State off Lichau Road. The event is free of charge. Students can visit the natural history hike homepage to learn more, and for additional information on the entire “Dig into Nature” schedule, visit the Center for Environmental Inquiry. March 16 - May 4 | 10 a.m. - 2 p.m.
Sunday, March 17 | 10 a.m. - 2 p.m.
Saturday, April 6 | 2 - 4 p.m.
April 17, ﻿April 18, April 19, April 20 and April 22 | 6 p.m.- 8 p.m.
Saturday, April 27 | 8:30 a.m. - 1 p.m.
Sunday, April 28 | 10 a.m. - 3 p.m.
Domingo, 5 de Mayo | 10 a.m. - 2 p.m.
Friday, May 10 | 6 - 9 p.m.
Sunday, June 2 | 9 a.m. - 1 p.m.
Sonoma State University’s geology lecture series brings speakers from Northern California and Mexico to the campus.